So, it begins for the search of the perfect ring that can leave her speechless, and make you hear the long awaited “yes” from her. That really sounds like a plan, by which you must prepare beforehand. If you need some help in finding the right ring for your engagement, here are tips to learn. How Do You Describe Her Lifestyle? If your girlfriend is a daughter of some rich parents that are reputably known, any ring is a very serious matter. You must ensure it fits to the lifestyle she has. When she finally says yes and shows her finger, the ring should stun her parents and friends. If she belongs to an average or middle class family, don’t try hard to buy a ring that is so expensive. Although, there is actually nothing wrong with that as long as you can afford to get one. Anyhow, the price doesn’t matter as long as she marries you. It must also involve her personality and character in choosing. 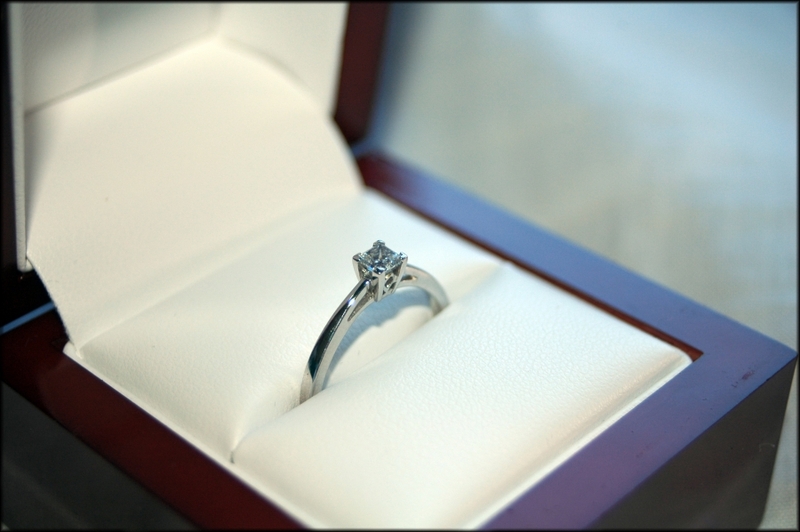 It is important that you choose a ring that can reflect her. This should not be difficult as you’ve known her for a long time. What are the Stones Available? The details of an engagement ring are very essential. They come in a wide array of designs based on the gemstones. You can select ruby, emerald, sapphire, or topaz. But you may already know by now that diamond is the most popular and favorite of a lot of girls, just like the saying it’s “girls’ best friend”. Regardless, the stone needs to be 100% genuine, which means it is quality and no other elements are mixed with it. When you choose a diamond ring, there are sub-classes to check. These are usually in Cs, which are cut, clarity, carat weight, and color. Considered as the most pivotal factor of a diamond ring, the cut determines the real beauty and genuineness of the object. If you have observed, diamonds have facets. 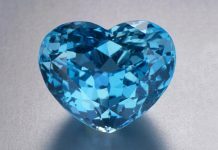 The more facets (like 58 facets), the better the quality or brilliance. Yes, there are various colors of diamonds in rings, too. In Gemological Institute of America or GIA, colors are graded by letters. The most common is colorless and that is represented by grade D. If it is a little bit yellow in shade, it is labeled as Z. As of these days, there are beautiful shades from blue to pink, yellow to green, red to lavender, as well as black. Actually, they are more expensive than the colorless. Clarity is another criterion for choosing a ring with diamond stone. Its worth is higher if it is clearer. There are basic standards of measuring the clarity. These are FL (flawless), which means there is not imperfections or inclusions, IF (internally flawless), which has a little flaw or blemishes, VVS1 or VVS2, which stands for very, very small inclusions, VS1 or VS2 (very small inclusions), SI1 or SI2 (small inclusions), and I1, I2, or I3 (imperfect grades). 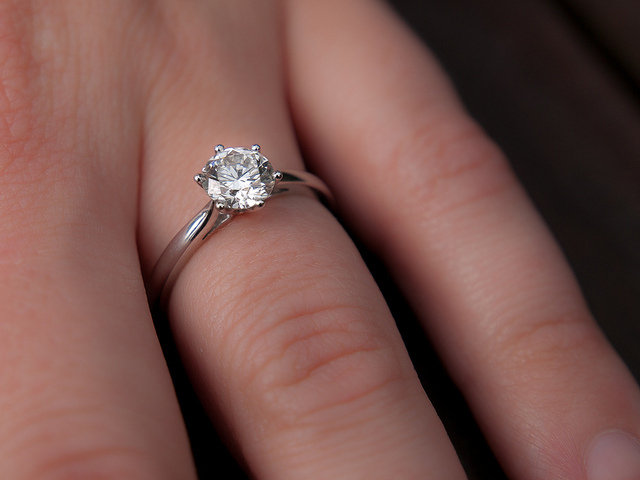 Another important feature of a diamond engagement ring is the carat weight. The higher the carat, the better the quality is. Each carat has 100 points, so if it is 1/2 carat, it has 50 points. Do not forget that a diamond ring is designed in various shapes as well. You can choose from the oval ones, pear shaped, round, emerald, marquise, and baguette. Sometimes, two shapes are mixed, which is rare. 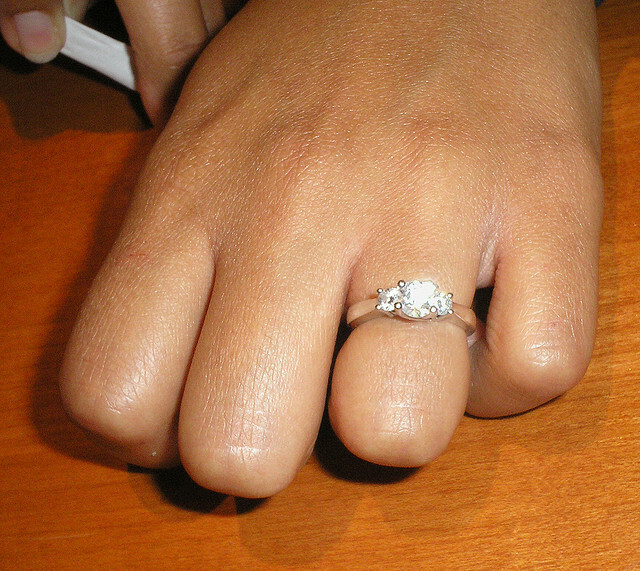 Whether it is a diamond or non-diamond, an engagement ring comes in different metals and settings also. In most cases, this is not actually examined. Guys who need to propose usually just look at the clarity, cut and overall design of the ring. But if you want the most expensive material of the setting, it should be made with platinum.